He wanted me to talk about mp3s, QED Records and the future of music. I was game. Answered all the questions, (rather lengthily), sent in the email, and waited. 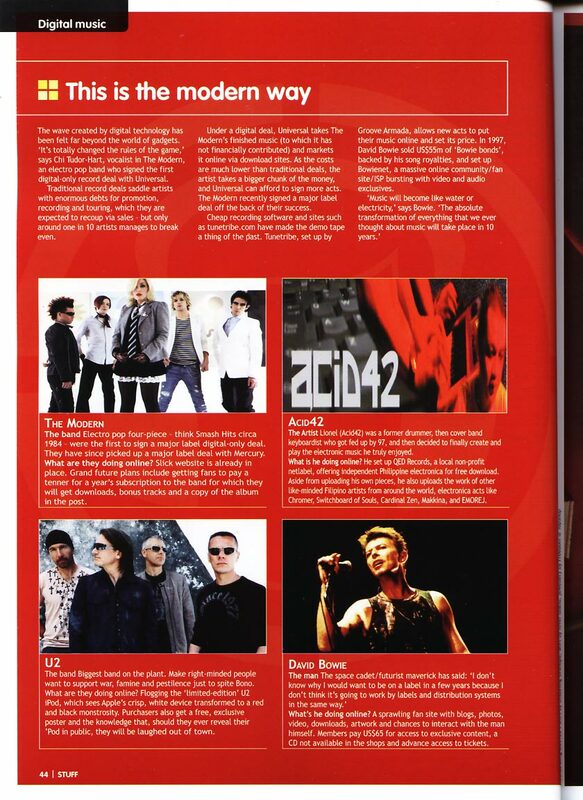 The July 2004 issue of T3 magazine Philippines did a piece on Philippine electronica musicians and their favorite pieces of gear. There I am with my Hawaiian shirt and peace sign.